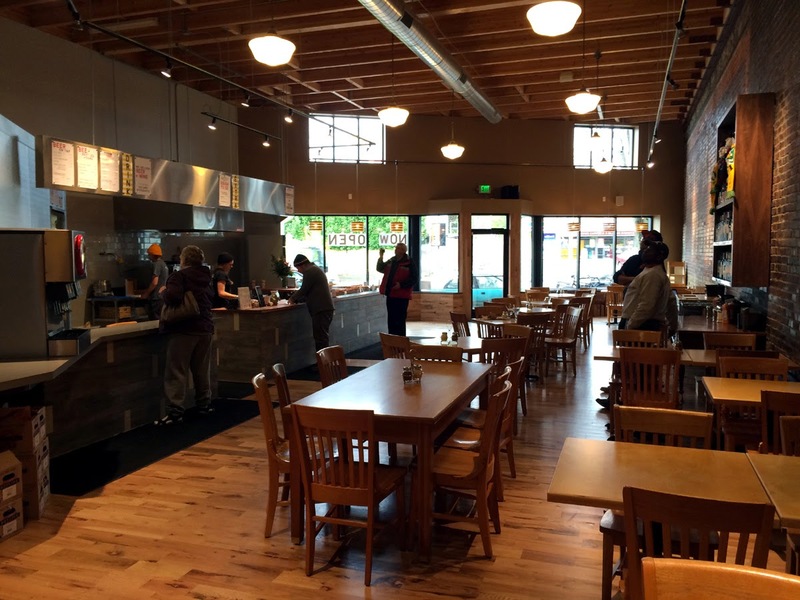 The evolving facade of Portland's craft beer scene got another face lift with the opening of Hot Lips Pizza in the Hollywood district. It's the sixth Hot Lips location and, for the record, they are getting more than a little serious about good beer. More about that shortly. The Hollywood location opened just over a week ago in the space previously occupied (since 1937) by Pal's Shanty. Most locals know an arson fire gutted Pal's in late 2013. Although they had hoped to reopen, plans fell through and the space became available to Hot Lips. 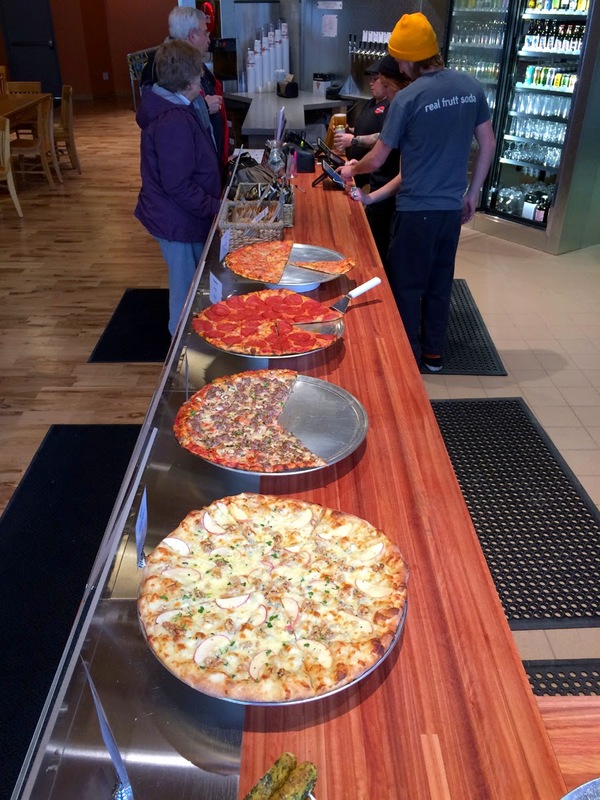 For the unknowing, Hot Lips is a family-owned business that has been making and selling gourmet pizza since 1984. 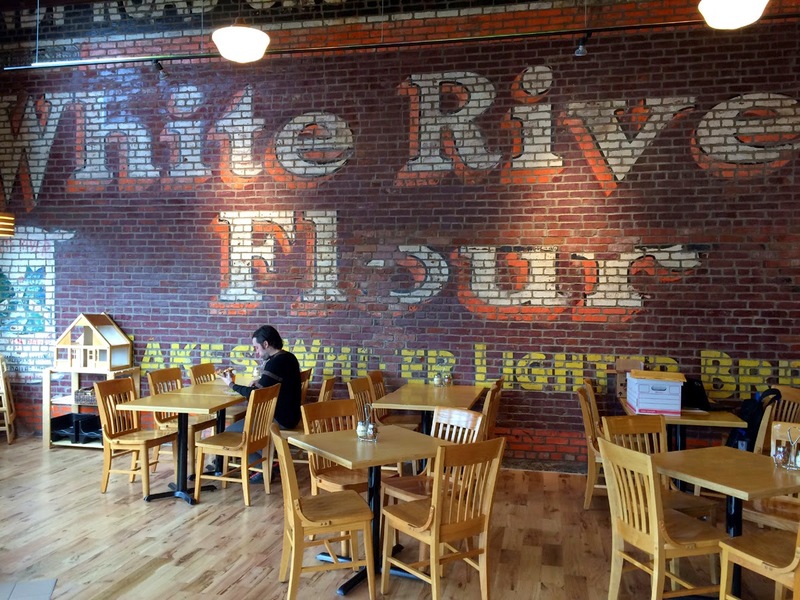 For most of that history, they have focused on molding a sustainable business model, with an emphasis on locally-sourced ingredients and production. Many are familiar with Hot Lips sodas, which are sold at Hot Lips and at many grocery stores in the area. These beverages are made using locally grown fruit and they are terrific. One of the very real challenges for Hot Lips is making enough to meet the demand. That's how popular the stuff is. Part of the reason the sodas were developed is that co-owner David Yudkin wanted to offer something more than just pizza. The sodas, made as they are from local fruits and related ingredients, were a nice fit for the sustainable model. Plus, they provide something tasty that appeals to patrons, always an important factor. Similar logic is in play with the expanded beer selection at the Hollywood location. Hot Lips stores have always offered beer in recent times. But the new Hollywood store blown the standard approach up with 22 taps, almost all of which will pour craft beer. That's a significant sea change. "What we've done in Hollywood is part of an evolution," Yudkin told me. "There's a huge and growing demand craft beer here and it makes good sense for us to cater to that demand. Beer and pizza are a legendary pairing, like peanut butter and jelly or sausage and mustard. Hollywood gave is the opportunity to build a wall of taps right into the restaurant. We went for it." 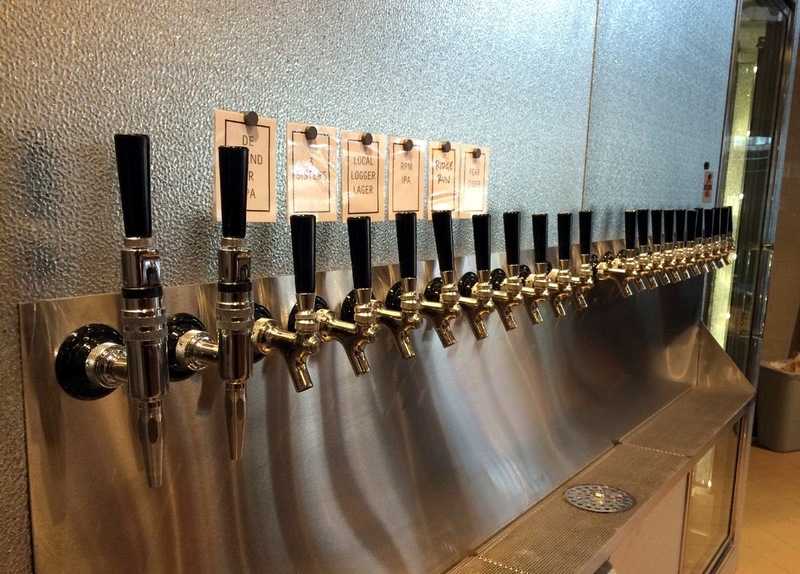 Of the 22 taps, only six or seven were pouring beer when I visited on their first day. It was a decent selection, but I suspect they have a full complement of beers by now. The lines run a CO2/nitro blend with regulators for each set of four taps (two of the 22 are strictly nitro). In addition to the draft stuff, they carry a selection of bottles and cans. Growler fills are available. If the beer choices follow the overall Hot Lips theme, expect to see mostly Oregon beers on tap and in bottles here. Yudkin mentioned the possibility of bringing in some beers from outside the area, and maybe he will. But his intense focus on carbon footprints and sustainability almost surely mean the beer focus will be mostly local. Keep in mind that Hot Lips operates a delivery service via its fleet of fuel efficient cars and that they will deliver beer with your pizza. That's a user-friendly arrangement. As well, the Hollywood beer model may well be applied elsewhere in Hot Lips family. "Considering our goal of supporting our fellow local businesses, I think offering a broader variety of local craft beers at all of our locations is a logical next step," Yudkin said. That makes perfect sense to me. Bring it on. Will have to check it out. Thanks for the heads up.